Building lasting solutions to systemic challenges within cities. 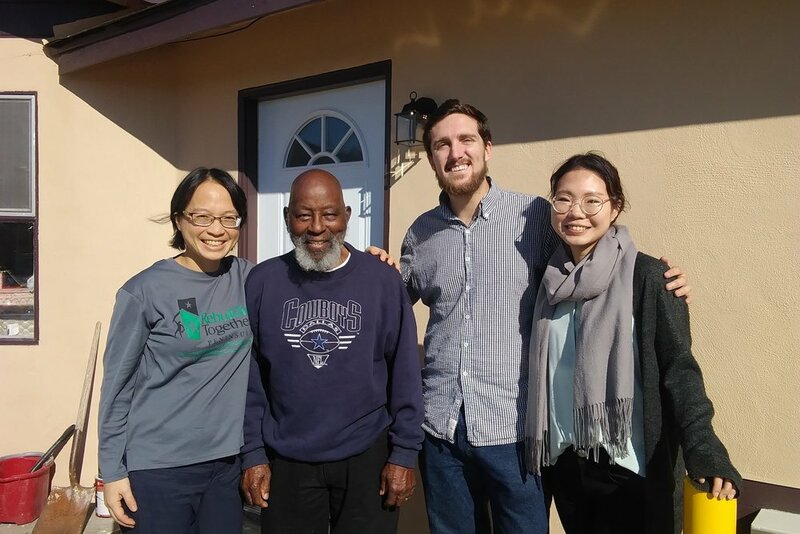 We are working with Rebuilding Together Peninsula and the City of East Palo Alto to streamline the garage conversion process, with the goal of increasing the number of safe and affordable second units in the community. See more details on our projects page. We are working with the Reinvent South Stockton Coalition, the San Joaquin County Housing Authority, the San Joaquin Council of Governments, and the City of Stockton to envision vibrant economic development in South Stockton. See more details on our projects page. A sustainable, resilient urban future built on a patchwork of collectively governed, empowered communities. People, planet, and prosperity are the foundations of sustainability. Sustainability is about more than ecology and carbon. It is about building the social and economic infrastructure that allows communities to thrive while reducing and reversing the negative impacts humans have had on the planet. Everyone is an expert, and everyone has value. We know we don’t know everything. We know that everyone from residents to community leaders to scholars and business leaders provide unique insight into urban problems and solutions. And we invite every voice to contribute to our work, and believe success means finding solutions that truly work for everyone. Cookie cutter is not the future. Our communities, homes, and even our sustainability strategies have for too long been replicated ignorant of local context and community. We believe that true sustainability emerges uniquely from each place and must be tailored to the community, its context, and its needs. The whole is greater than the sum of the parts. We do not work alone. We strive to bring many partners to the table to ensure that the solutions we deliver encompass the full range of voices and ideas necessary to craft the lowest cost, highest impact results. Innovation comes in many forms. Advanced technology is only one way to achieve sustainability and urban goals. Economic and social solutions are equally as valuable as new technology, and sometimes the best path forward can be found by looking to the past equally and the future. All deserve to benefit from the information revolution.Too often, data, decision tools, and technical expertise are restricted to those who can pay, reinforcing patterns of growth and decline. We see information as a right, and strive to provide the best knowledge and tools to every community and individual regardless of economic or academic ability. Develop innovative solutions to wicked urban problems that can be tailored to each context. Infuse data-driven decision making into communities, regardless of size and status. Foster consensus building and collaborative governance wherever we work, uniting public, private, and civic sector stakeholders with residents in seeking the best solutions for each place. Derek, age 27, graduated from Stanford University in 2013 with dual Bachelor’s in Civil and Environmental Engineering and Architectural Design, and in 2015 with a Master’s in Structural Engineering and Geomechanics. He was project manager of Stanford’s first-ever entry to the U.S. DOE’s 2013 Solar Decathlon and has been featured as an up-and-coming designer in the Los Angeles Times, in Home Energy magazine’s “30 under 30”, at TEDxStanford, and at Stanford+Connects NY and Seattle. He is Founder of Cloud Arch Studio, Co-Founder of City Systems, and lecturer in Stanford’s Sustainable Urban Systems Initiative. Rob Best has a Ph.D in Sustainable Design and Construction from the Civil and Environmental Engineering department at Stanford University and currently works at Arup. His research focused on network planning, integration, and optimization of urban infrastructure systems. He has a B.S. in Engineering from Harvey Mudd College and an M.S. in Civil and Environmental Engineering from Stanford. He was the Design and Construction Manager for the Stanford Solar Decathlon. Rob was also the Projects and Education Director for Engineers for a Sustainable World, a U.S. based non-profit that advances project-based learning and knowledge-sharing on sustainability and engineering nationwide. He also has experience as a consultant modeling the energy consumption of buildings and urban developments and evaluating the long-term impacts of pollution and hazardous industries. Tyler Pullen has a B.S. and M.S. in Civil and Environmental Engineering from the University of Southern California and Stanford University, respectively. His academic experience ranges across water treatment and resource management, energy-efficient building modeling and design, construction management, and sustainable urban systems engineering. Past research and work lies at the intersection of the built environment with the living world, spanning engineering, sociology, and policy topics, bringing Tyler to work and study in locales including Iceland, Italy, Switzerland, China, and Uganda for varying periods of time. Specific projects include industrialized construction, civic technology as applied to infrastructure, and urban data science. He has served under various leadership positions: project manager for a concrete canoe design team while at USC, project leader for a short-term study abroad program in Iceland, project manager for the Associated School of Construction competition in Reno, and team lead for work on protected water sources in Uganda. Tyler splits his time between the Sustainable Urban Systems initiative at Stanford University and City Systems projects in the same topic area.